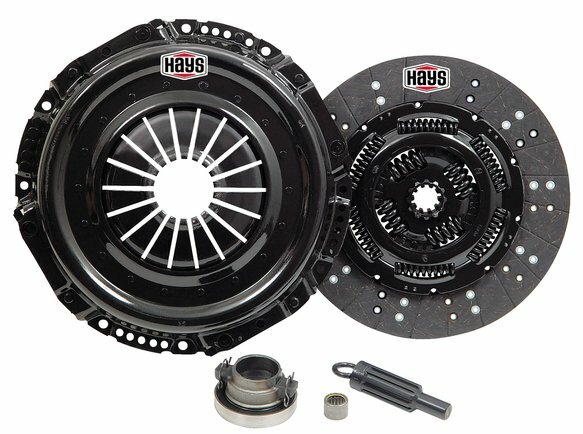 These Hays Super Truck clutch kits are the answer for utility, off-road and performance street trucks. Top-of-the-line components ensure extended service life, at a price you can afford. The Hays Super-Truck line is specifically designed for severe usage; every unit is built to withstand extreme conditions and overuse. Hays Super-Truck clutch kits are made in the U.S.A. and feature all-new parts, not remanufactured. They can significantly extend the service life of clutches used in off-roading, towing, snow plowing, and performance street trucks.